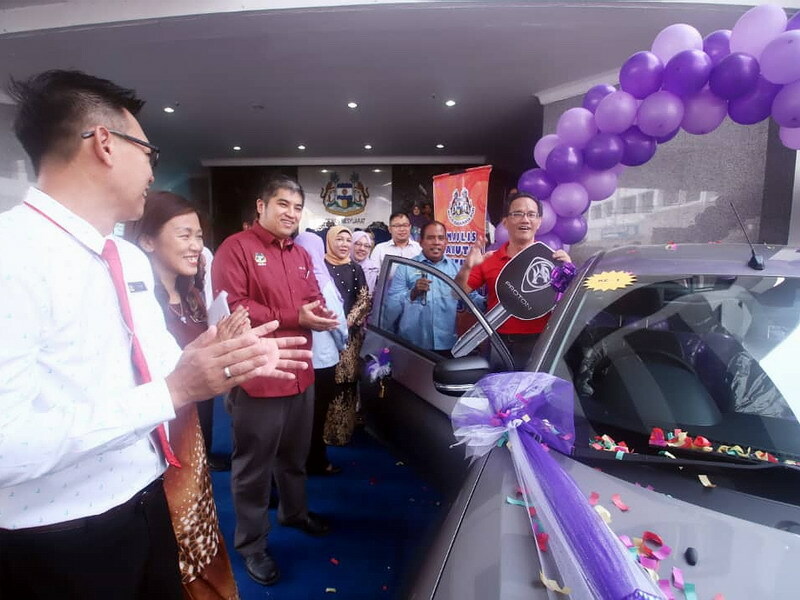 Following the shortlisting of 230 entries for the Ipoh City Council Assessment Tax Lucky Draw on 27th March, 2019, it was a day of surprise last Friday, when 30 of these participants were entered in the draw for the grand prize of a Proton Saga 1.3MT car, along with 4 units SYM 110 motorcycles, 4 units LED TV sizes 60″, 55″, 49″ & 39″, 2 units foldable bikes, 3 units refrigerator plus many other household electrical appliances and consumer electronics. In order to participate in the annual lucky draw, property owners in Ipoh had to settle their assessment bill in full. 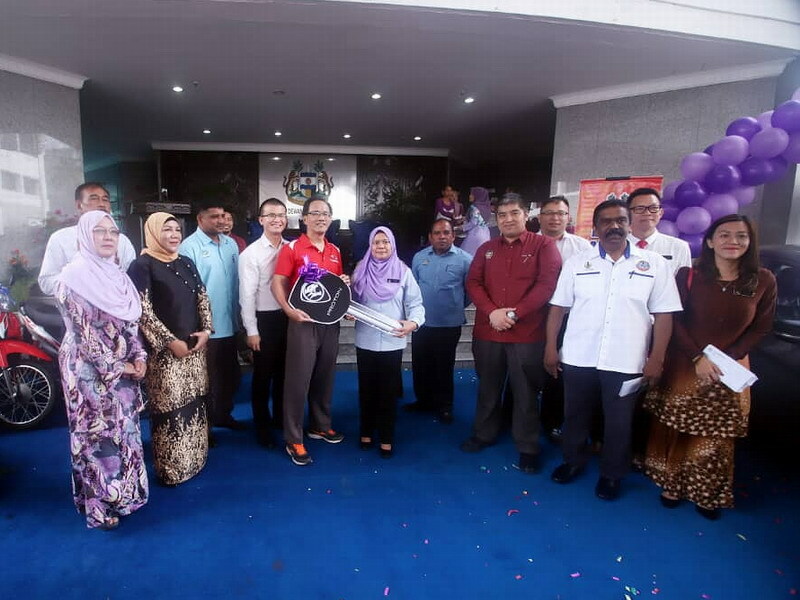 According to Ipoh City Council Secretary Encik Mohd Zakuan Zakaria, the number of full payment in 2019 totalled 129702 bills, bringing in a revenue of RM31.9 million. “The number of property owners who fully paid their assessment for the whole year continues to increase. This is a positive indication that they are receptive of full payment, instead of half-yearly,” he added. 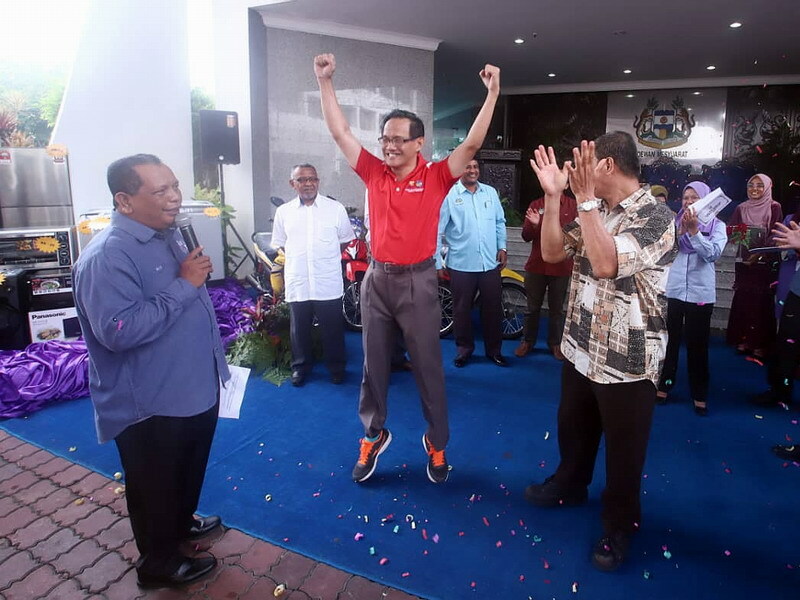 The winner of the Proton Saga 1.3MT was teacher Yeoh Teik Guan, 56, from Taman Pinji Mewah in Ipoh.